The countdown is on for employers in Quebec to offer workers a way to save for retirement through a registered pension plan or group retirement savings plan with payroll deductions — or be forced to sign up for a Voluntary Retirement Savings Plan (VRSP). Legislation allowing the creation of VRSPs came into force on July 1. Right now, employers have the option to sign up for them. But eventually, they will be mandatory. All employers in the province that employ at least five workers aged 18 and over with a minimum of one year of uninterrupted service (as defined under the Act respecting labour standards) will have to have a VRSP if they do not offer payroll deductions for a registered retirement savings plan or tax-free savings account, or do not have a registered pension plan. Employers with 20 or more eligible employees as of June 30, 2016, will have to sign up for a VRSP by the end of that year. Employers with 10 to 19 eligible workers as of June 30, 2017, will have until the end of 2017. The government has not yet set a date for when employers with five to nine employees would have to enroll, only saying it would not be before Jan. 1, 2018. VRSPs are similar to pooled registered pension plans (PRPPs). They are both defined contribution-style retirement savings plans designed for employees and self-employed workers who lack access to the types of plans mentioned earlier. The plans work on the premise that by pooling many individuals’ assets, they can offer investments and savings opportunities with lower administration costs. Unlike registered pension plans, employers do not have to administer VRSPs or PRPPs. Instead, authorized financial institutions — such as insurers, trust companies or investment fund managers — will run them. Employers will be required to choose a plan, communicate with employees about the plan, automatically register employees, deduct employees’ contributions from their earnings and remit them to the administrator by the deadline. They will also have to provide administrators with any documents or information needed to fulfill their obligations, including employee terminations. VRSPs follow the introduction of PRPPs at the federal level, allowing plan administrators to offer PRPPs to those in federally regulated industries and to businesses and self-employed individuals in the three territories. Before plan administrators can offer PRPPs to other employers and individuals, provincial governments must pass legislation allowing for them. To date, Alberta, British Columbia and Saskatchewan have done so — but none have implemented the laws yet. Ontario is expected to table PRPP legislation in the fall. What sets Quebec apart is the mandatory nature of the VRSP for employers. So far, it is the only jurisdiction in Canada to make it mandatory for employers to enrol in such a plan. Although VRSPs will be mandatory for employers, employees will not be obligated to participate. Employers will automatically enroll employees, but workers will have the right to withdraw, opt out, suspend their participation or change their contribution rate. If employees leave their job, they will not lose their contributions. Quebec employers should determine whether they need to enroll in a VRSP. Since most large firms tend to have pension plans, group RRSPs or combined RRSPs/deferred profit-sharing plans, VRSPs will generally be for small and mid-size employers, says Jean-Daniel Côté, a partner at the HR, pension and benefits consulting firm Mercer in Montreal. The next step is to choose a plan administrator. Côté says he expects all of the plans offered in Quebec to be similar, "off-the-shelf" products. When it comes to choosing a plan provider, employers may want to opt for a company they already work with for group insurance, he says. "We would expect from an HR perspective or a payroll perspective that if you already have a relationship with a company that provides PRPPs or VRSPs, that might be where you want to go," Côté says. "You already have that payroll bridge with the insurer to forward the premiums." There should not be a lot of administrative work for payroll or HR departments to set up a VRSP or a PRPP, he says. "Every provider we have talked to will have a dedicated team that all they do is implement PRPPs or VRSPs. From the moment where you made your decision as an employer that ‘I want to offer this,’ you have to select which provider and then they will take it over." Côté says most of the administration will be done online or over the phone. Employers will have to change their payroll systems to incorporate the VRSP/PRPP deduction and remittance. Payroll will deduct contributions from employees’ gross earnings for the pay period and remit them to the plan administrator. Contributions will be subject to the employee’s annual available RRSP contribution limit. 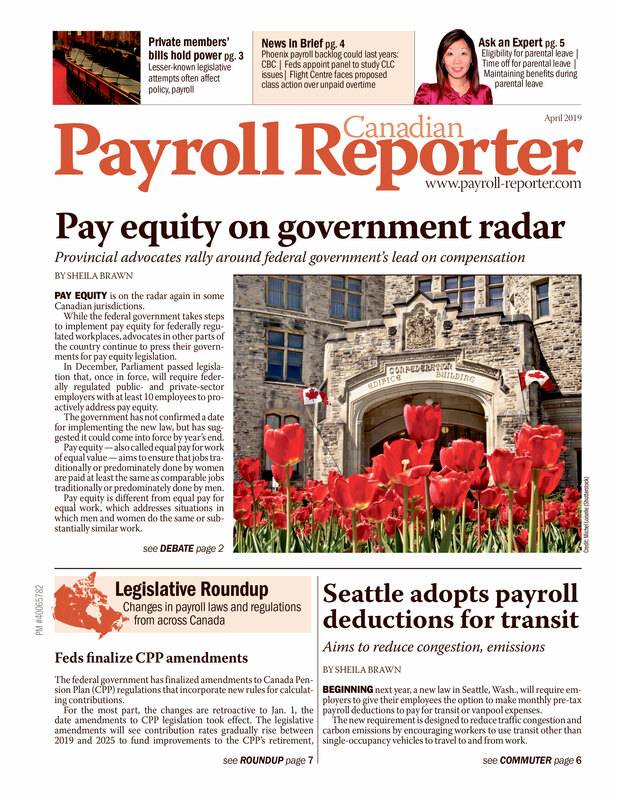 Payroll systems may also have to incorporate employer contributions. While not mandatory, employers may opt to contribute to the plan. If they make direct contributions, the amount they contribute will not be a taxable benefit to the employee. Employers with payroll service providers will have to work with them to ensure things run smoothly. Jean-François Pelletier, regional vice-president, group retirement services in Quebec for Sun Life Financial, says this will involve setting up deduction codes for the VRSP/PRPP contribution and working out a process to ensure the employer receives each employee’s deduction amounts so it can remit them to plan administrators. Côté says he expects the payroll system changes to be fairly simple, especially for employers that use payroll service providers. "Those who will find it a little more difficult are those who have in-house systems that they may have built or they may have had for years and years and never really upgraded to something more modern and flexible. This might be a little bit of an issue, but we don’t foresee that it’s going to be much of a problem."